This saves department staff and applicants the hassle of double-checking applications for required plans or photos, and reduces lost processing time when applications are submitted without all required attachments. The City of Lomita’s Planning Department has found this new feature helps save department staff and applicants weeks of phone call inquiries and confusion. 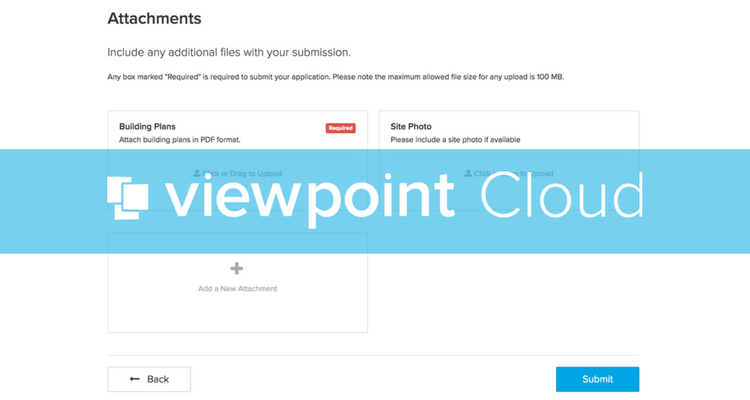 Applicants can still upload any additional attachments as deem necessary, however they will be prompted to include a title and optionally add a description. We continuously strive to bring more innovative features to ViewPoint Cloud so our communities can provide better, smarter services to their constituents. If you have any questions, or additional feature ideas, feel free to reach out to us directly at info@viewpointcloud.com.